People used to love to talk about CRM software failure. Back in the early 2000s, when CRMs were still finding their feet, analysts made wild speculations about actual fail rates . . . which were quoted in press releases, cited by “research” articles, and circulated on the web ad nauseum. Today, things look a little different. CRM software has long since proved its value, and the market — recently valued at $23 billion — has grown bigger and faster than any other IT vertical. A new league of cloud-based platforms and an ever-growing ecosystem of add-ons have made CRM easier to deploy and less of a risk for small-to-medium-sized businesses (SMBs). While outright “failure” is usually not a concern anymore, there are other hidden dangers that can stunt a project and limit ROI, when left untended. Here’s one scenario: you buy a CRM for your sales team, but they don’t use it. Considering that sales, of all departments, is supposed to be the CRM power user, this is a pretty serious disconnect. And unlike a claim that 70 percent of all CRM projects fail, it’s not a stretch of the imagination. Most people are resistant to change, especially when it isn’t their idea. 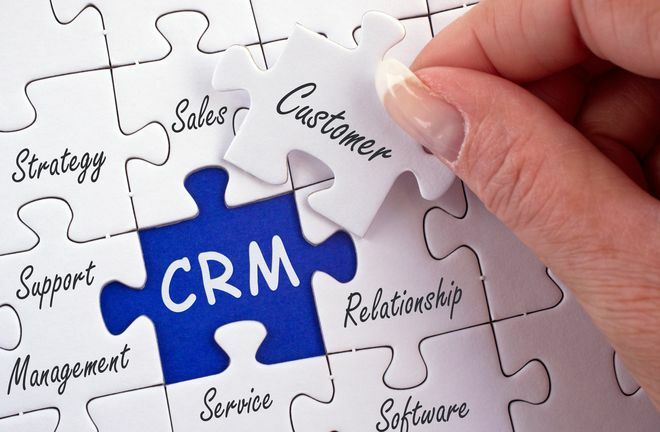 If you’re rolling out a CRM system, that means your salespeople were using something else before (be it a homemade, server-based system or old-fashioned spreadsheets), and while the old system had its problems, they were used to it. They knew where to find things, how to run reports, how to enter data, etc. With a new system in place, they may cling to the old workflows and repositories simply because they’re familiar. Then records aren’t being entered, activities aren’t being logged, and reporting capabilities are provisional, at best. That means you aren’t going to see much return on investment (ROI), and you might be missing out on functionality that could improve sales performance and productivity. This might seem obvious, but it has a lot to do with end-user adoption, so it’s important to get it right the first time. There are literally hundreds of factors that go into the software decision process, from budget to features, integrations, and customer support. But as far as it concerns your sales team, you should mostly be focused on finding a CRM that will support their workflows and cause minimal inconvenience. That also means it should be plausible to deploy. If you don’t have a dedicated IT team, you should limit your search to products that are easy to configure or consider working with a CRM implementation partner. Because it’s not enough to get executive “buy-in.” If a new system makes financial sense and seems to be the right move, it’s easy to get signatures, but signatures won’t send a clear signal to your sales team about the weight of the project. So go further than buy-in. Get the right leaders (marketing director, CSO, CFO, CIO, etc.) to stand behind the CRM. Solidarity and sponsorship at the executive level will spawn strategies to enforce adoption and ultimately make for a smoother rollout. Sure, there’s a help desk feature and some FAQs built-in to the CRM, but that doesn’t mean you should throw your reps into live use without proper training. If they can’t figure out how to use it, that’s all the more reason to go back to spreadsheets. Set aside some time to teach salespeople about the new platform, with extra attention to workflows for to their specific role (such as editing a lead profile or building a sales pipeline forecast). Instead of forcing your sales team to use a new CRM (if that were even possible), give them a reason to use it — intrinsic motivation, rather than extrinsic. This could be as simple as a few briefings where you explain the benefits of the new system and where it will add value to their work. Or it could be a financial incentive, such as a special bonus for top performers. If the rollout is big enough, you might even consider using a gamification platform to accelerate adoption through points, badges, and competition. Fifty-four percent of employees say they’d be more likely or much more likely to perform a task if it had game elements. Even if you’ve found the best CRM money can buy — a system that perfectly balances advanced features with ease-of-use and offers a 90-day ROI guarantee — your project isn’t invincible. So don’t leave it on autopilot. Equip your sales team for success by training them, supporting them, and providing clear incentives for adoption. In doing so, you’ll avoid a lot of headaches and see a much higher return.